I’d like to imagine that this blog would fall on deaf ears. I’d like to think that in a perfect world, everyone is already in the process of reviewing their completed incurred cost submissions with the thought of freedom in the back of their minds. I’d like to visualize everyone packing away those spreadsheets for the summer, kicking back on a nice hammock somewhere overlooking the ocean. However, as much as it pains me, this is not a perfect world. Not everyone has had the chance of getting a jump start on their ICE submissions. Not everyone has had the opportunity to compile all their costs to complete that monster of a spreadsheet. If you’re like me, then the thought may not have even crossed your mind! If you fall into one of these 3 categories, or you would like to double check your work, then I have the post for you! For those that aren’t aware, incurred cost submissions are required if you have cost reimbursable contracts and some time and materials contracts if included in solicitation. They are essentially a compilation of various schedules of your costs, presented in a specific way, and submitted to the DCAA for their review and audit, which allows the government to verify that they are paying a fair price for the services that they receive. Most contractors are required to complete these submissions by June 30th of each year, hence my alert. If you select the above link and download the ICE model as per the DCAA’s instructions, you will notice that completing the model is no easy feat. (You know you’re in for a long day when an Excel file comes with its own User’s Manual!) The ICE_Model spreadsheet contains a little more than 25 tabs, all of which require major brain power. To help with this, we’ve built some reports for specific schedules that are separated on each tab (although a couple cups of coffee wouldn’t hurt). These reports can be found by going to Projects à Incurred Cost Submission Support within the accounting system. 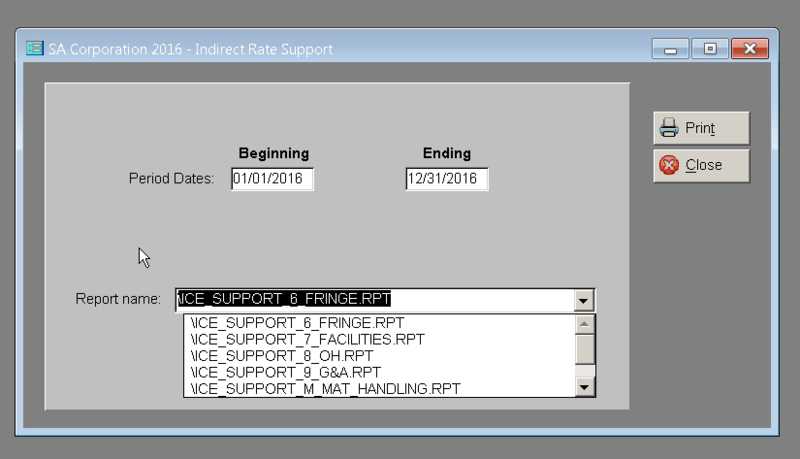 Once each report is printed, they can be exported to Excel using the white envelope at the top of the report, so that the data can be easily transferred to the ICE model. For those interested, below is a description of each report as found in the PROCAS Users Manual. The screenshots taken are from a sample company as an example of what the reports look like. 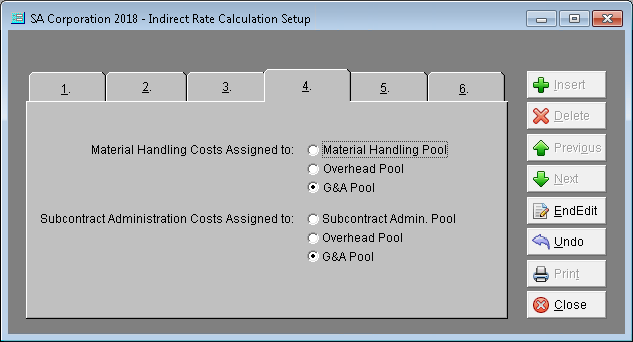 Perhaps the most important, the indirect rate support reports contain the details of costs within each pool and base for the rate calculation most recently performed, regardless of the date range used when printing the reports. The reports should be used in the ICE Model Schedules A, B, C, D, and E and in PDF format as supporting documentation. 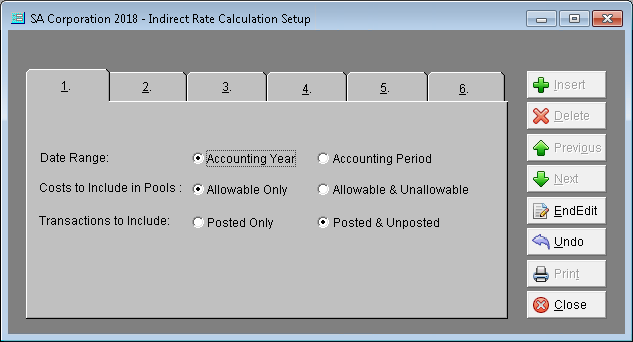 The indirect rate support reports are used to support the rate calculations performed for the year. The period date range used to run the reports are for information in the report header only and should coincide with the date range used for the most recent indirect rate calculation performed. You should begin your ICE Model by inserting a new tab in the workbook, which will be used to copy your trial balance information. You should link information within the various schedules in the ICE Model to the trial balance tab where appropriate. This will leave less room for discrepancies between information in the ICE Model compared to information in your general ledger. If general ledger adjustments are needed after you have begun the ICE Model, you will only need to update the trial balance information on the trial balance tab. 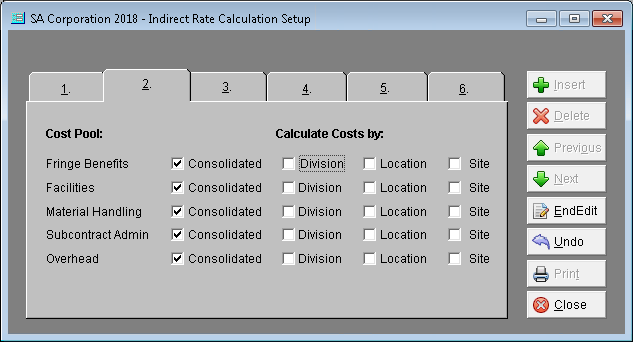 The ICE Model Schedule H is the “Schedule of Direct Costs by Contract/Subcontract and Indirect Expense Applied at Claimed Rates.” The standard Schedule H reports accommodate a consolidated overhead rate structure (SCHED_H_ONE_SITE) and a two worksite overhead rate structure (SCHED_H_TWO_SITE). For the report to group the contracts by cost class, an Incurred Cost Class code must be established on the project records, receivable task records, and/or the revenue task records. The ICE Model Schedule I is a “Schedule of Cumulative Direct and Indirect Costs Claimed and Billed by Contract and Subcontract.” The automated billing process records billed detail information in Invoice History which maintains the inception-to-date billed hours and amounts on contracts. 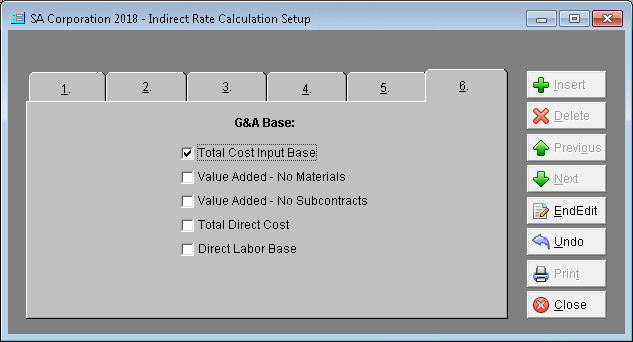 By default, this report will display prior years settled total costs, prior year costs, and cumulative billed amounts, by contract, grouped by incurred cost class for the date range selected. 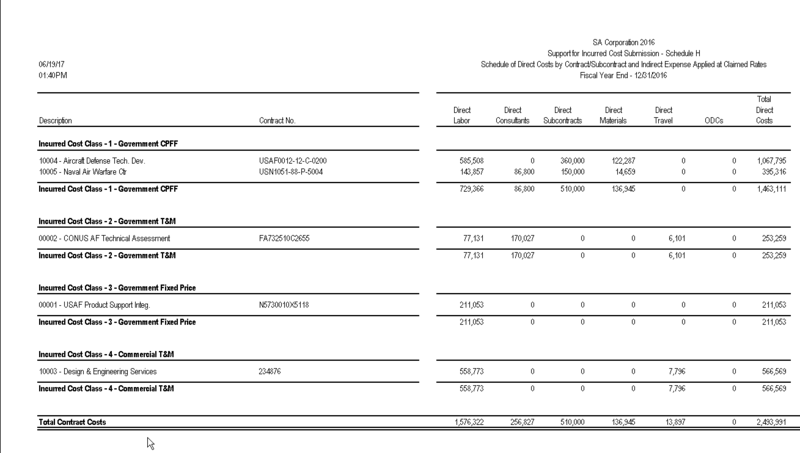 The report displays the contract billed information in cost class order. The Schedule I support report requires that the automated billing process is used to create invoices within the accounting system. 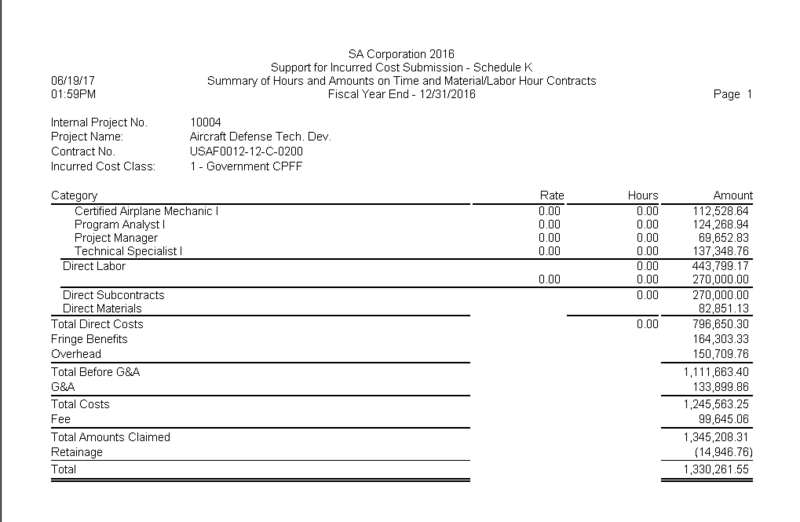 The Schedule I support report in the system requires invoice history. The ICE Model Schedule K is a “Summary of Hours and Amounts on Time and Material/Labor Hour Contracts.” The automated billing process records billed detail information in Invoice History which maintains the inception-to-date billed hours and amounts on contracts. 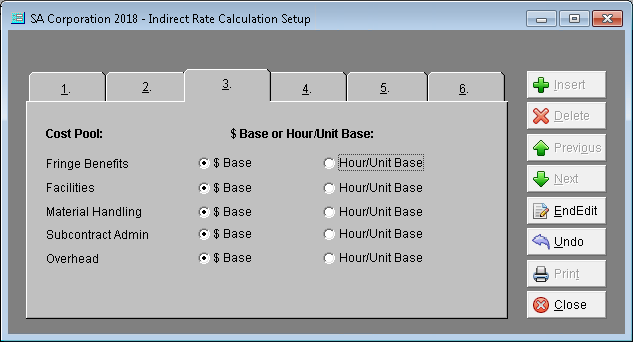 By default, this report will display the cumulative hours and amounts billed for the date range selected, regardless of the cost class. 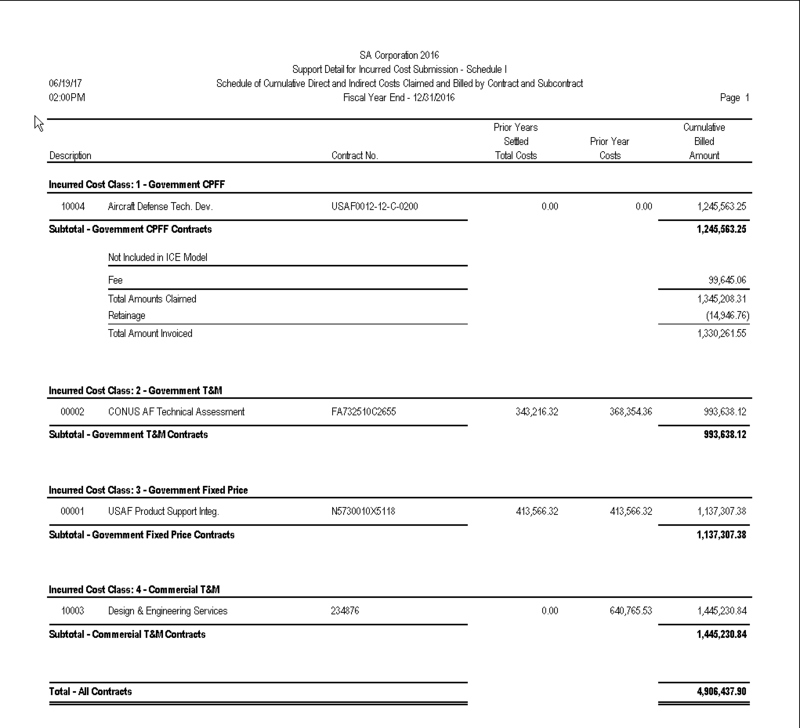 The report displays the contract billed information in cost class order. You can filter on a cost class code or a range of cost class codes to isolate the information needed. 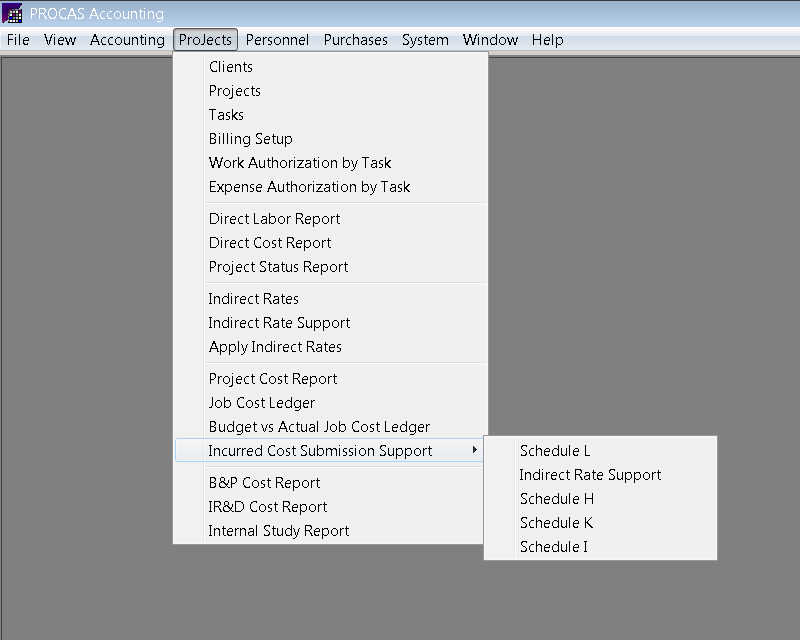 The Schedule K support report requires that the automated billing process is used to create invoices within the accounting system. The Schedule K support report in the system requires invoice history. 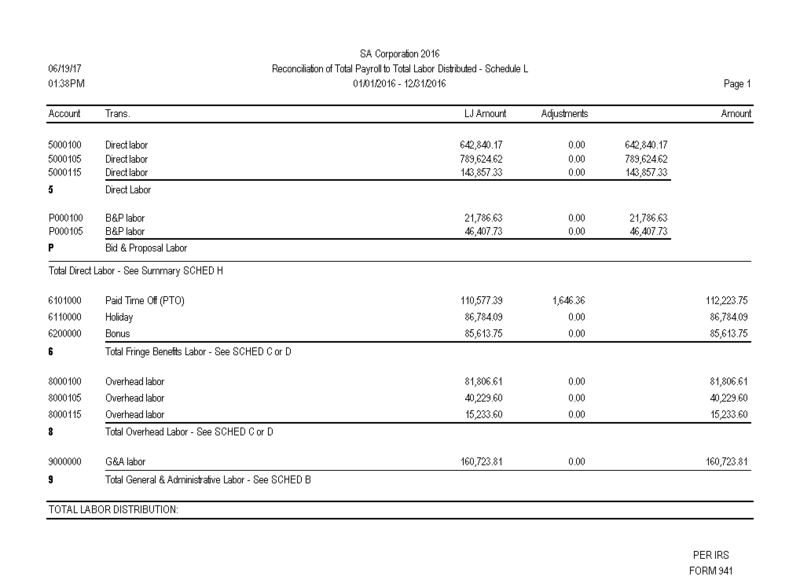 The ICE Model Schedule L is a “Reconciliation of Total Payroll per IRS form 941 to Total Labor Costs Distributions.” It is a reconciliation of the accrual basis labor cost per your general ledger to a cash basis labor cost per the IRS Form 941s. 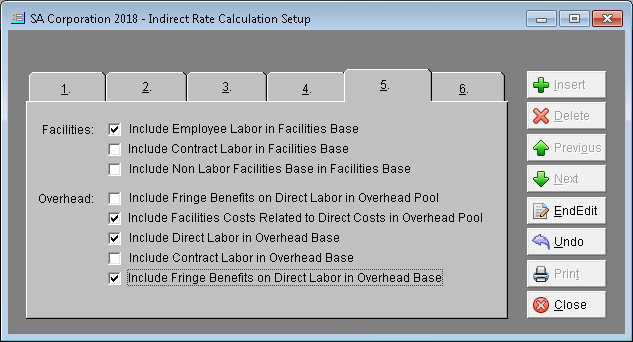 The Schedule L report will display the labor costs recorded in the general ledger, grouped by cost pool. Performing a labor reconciliation separately before beginning the ICE Model will help to ensure the information in your general ledger is accurate. The account field in the report parameters will automatically default to one greater than the account code for salaries payable box of the Default Accounts form. The report does not include subtotals by pool. Those must be done in Excel. If you’ve made it this far, I applaud your stamina! These reports can seem intense, however they lend a helping hand in completing the associated tabs of the ICE model. For additional help completing ICE submissions, please check out our Webinar on the subject by emailing webinars@procas.com. As mentioned above, additional explanations on the reports can also be found in the PROCAS Users Manual or by emailing consulting@procas.com.